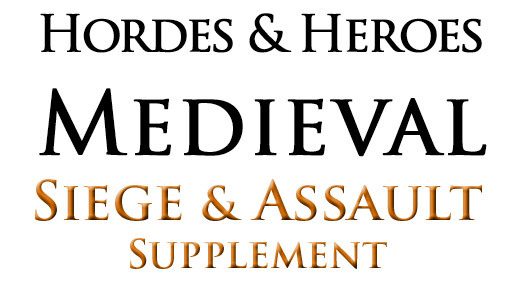 Hordes & Heroes Medieval Siege & Assault Rules - Wargaming sieges and assaults have always proved challenging to wargamers. Sieges were by their very nature often long drawn out affairs often lasting many weeks, months or even years. Once the preparations for the assault were complete and the attack was launched the fighting would be fast, furious and intense as attackers and defenders fought for supremacy. 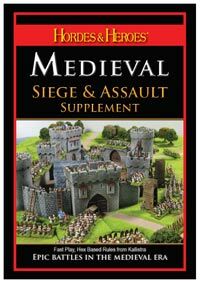 The Siege & Assault rules enable the Hordes & Heroes system to be used to conduct sieges and assaults against defended castles, towns and strongholds. They enable the use of a wide range of medieval siege equipment to be employed in breaching an array of different defences from simple earthworks to the massive stone walls of a major city. 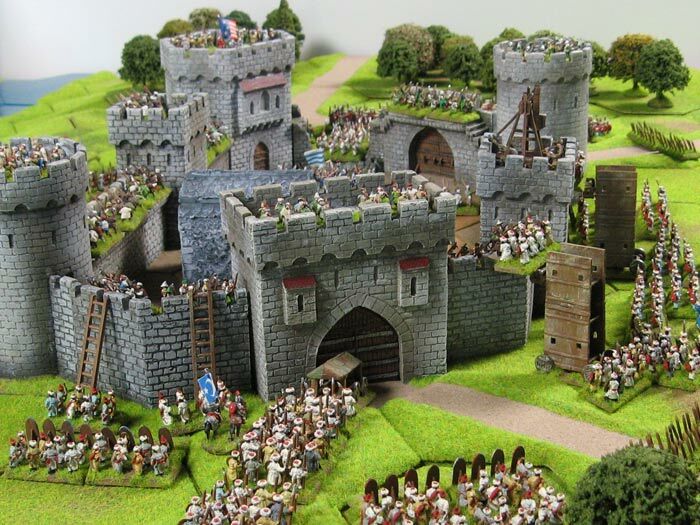 In conjunction with the core medieval rules they enable campaign scenarios to be constructed which enable gamers to explore the strategic as well as the tactical aspects of medieval warfare. Hordes & Heroes Medieval is available FREE to download. Please note the pdf. file size is around 9Mb, and may take a few seconds to download depending on you connection speed. To read the pdf file you will need Adobe's Acrobat Reader on your computer.